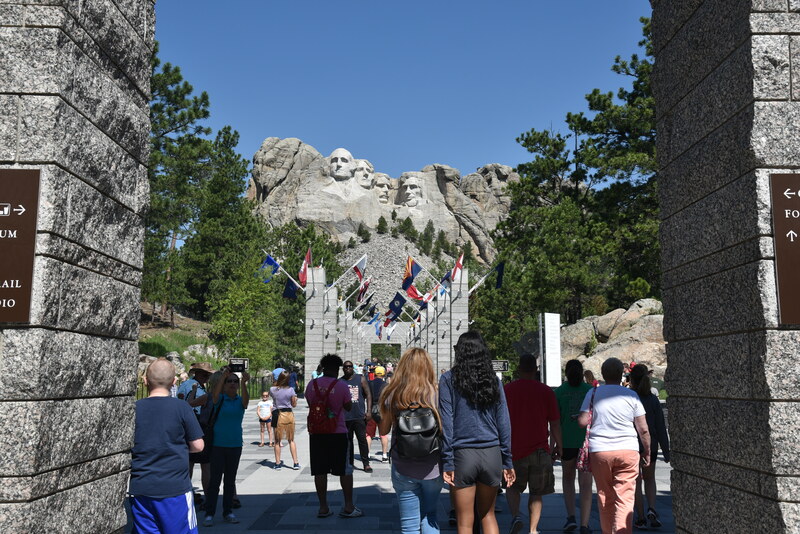 Kat and I spent half of Independence Day Eve visiting the Four Presidents carved from a mountainside by Gutzon Borglum and a cast of hundreds. 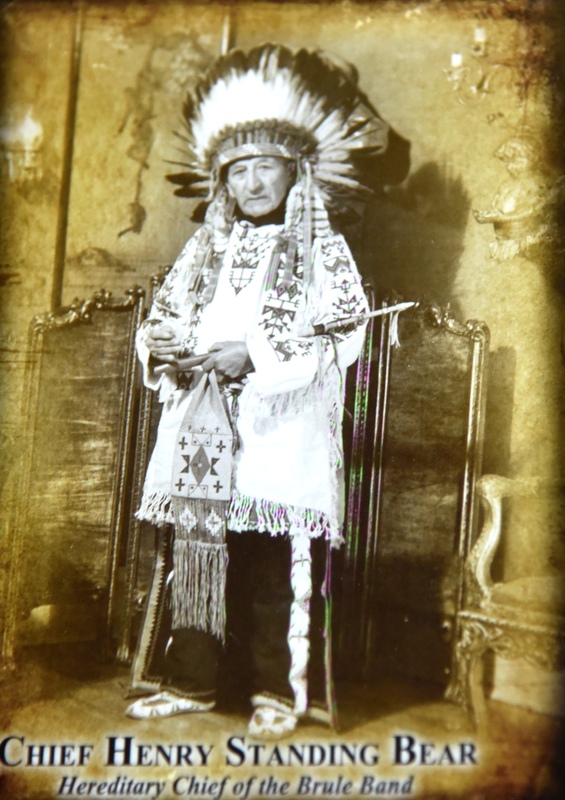 Unlike those working on the Crazy Horse monument who plan to need another century or two to complete that project, Gutzon’s Boyz knocked out Rushmore in only fourteen years. Those dynamite dudes became so good at estimating the size and placement of their charges that they were expected to blast the rock to within an inch or less of the final location of the smoothed, polished faces. Once they got within that inch jackhammers took it down to the point that only hand chiseling and polishing remained. They chose to leave most of the blasted and chipped rock at the foot of the mountain, minus only that which has been sold to tourists in the Visitors Center over these 75 years. 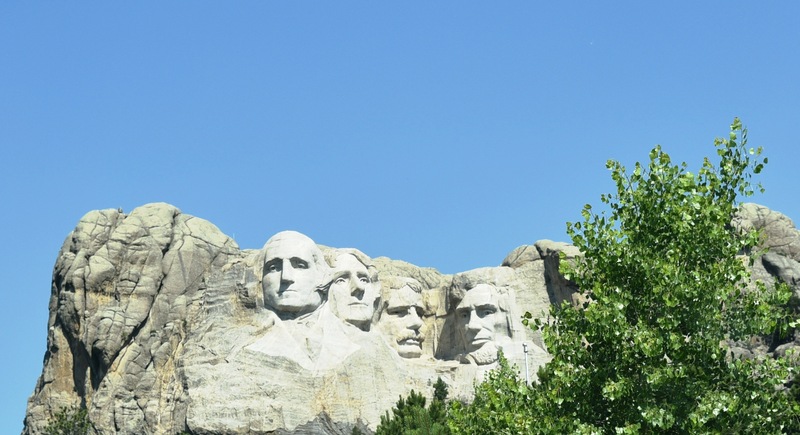 Rushmore is a National Monument, not a Park. And that means that your America the Beautiful pass, should you be sufficiently ancient to buy one, will not get you past the gate without payment. But it will get you half-priced parking, for $5 rather than $10. That’s about their tariff for a soft serve ice cream cone here, which were selling so well on this warm day that we chose not to get in line. But they looked good, and only a few sad children fumbled theirs onto the broad sidewalks. The monument’s educational but interesting construction movie lasts about 20 minutes and is included with your parking payment. The gift shop carries a full line of trinkets, children’s books, haberdashery and stuff most women won’t wear, high priced trail mix, and (a shock to me) reasonably priced post cards. Kat is reviving an old custom; she buys picture post cards here and there and sends them to our kids who rarely call, and now and then to some other deserving third party. It is a nice custom, if a bit dated. There is a museum complete with pictures of the work crews, old pay rate schedules showing that these fellows were paid well for their Great Depression work. No one was killed in those fourteen years, which is remarkable in itself. There were illustrations and old photos of a marking system they designed to pinpoint locations and exactly how much rock was to be removed. 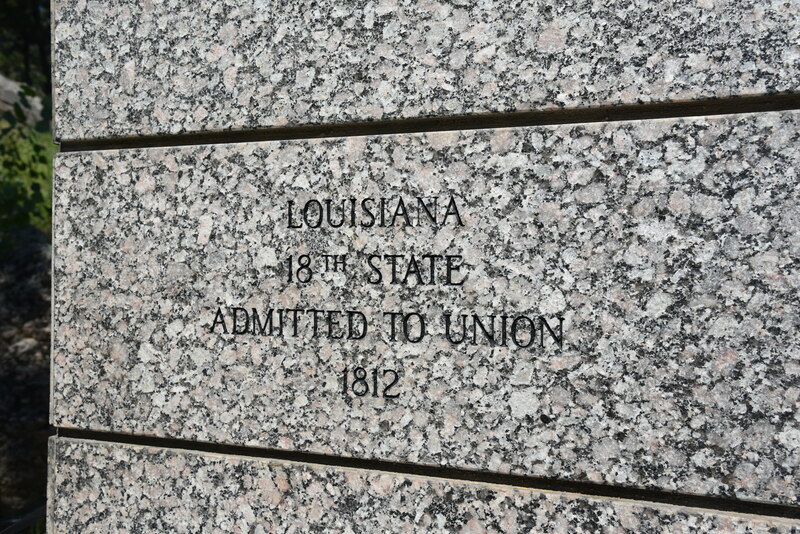 And their very first order of business with to remove the first foot or so of cracked, weathered granite. This gave them a rock solid surface to work on, which implies a rate of weathering away of one inch per 10,000 years. It turned out that no one had thought of lichens that age stone much more rapidly and have recently been cleaned off all the faces. 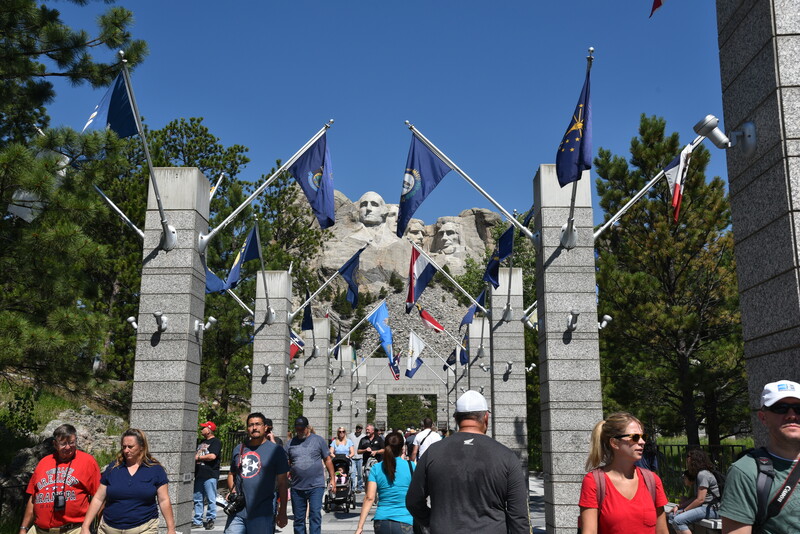 Rushmore is an impressive monument, and it is best viewed in those relatively cool Black Hills summers. Go then and become the envy of all your friends sweating out their iced tea in Louisiana, Texas, Florida and all points humid! Oh, almost forgot this nice surprise, perhaps true because geologists believe this mountain holds no orange sandstone. So far there is no visible evidence of the construction of a fifth figure next to Washington towering above the others, his thumbs up along with a trademark scowl and big hair. I’m not jaded! You are not jaded! We are mad as hell and we are not going to take it anymore! VOTE, VOTE, VOTE. We have to restrain this loon. House or Senate, either one will shut him down. Both? He will resign, and then all we have to deal with is a simpleton Pence. Problem is, I am not sure Pence is a simpleton. I think he has a really evil agenda, so I am not sure he’s any improvement on the orange boy-man, whose IQ is not nearly as high as he thinks it is. And, as you probably saw, the T-P campaign banners for 2020 are already being made — in China. So much for keeping manufacturing in the US, eh? Hypocrites! As someone who always votes, I hope that many folks who stayed home in 2016 now see the disaster of their own making and will get out there in 2018 and put some checks and balances on the insanity in the white house. Simpleton is too strong a word, but he lacks the almost unprecedented* political genius Trump has for finding and mining that vein of anger among so many white people. Yes, as your Daily Kos story points out anyone who aspires to serious political power yet does not believe in the separation of church and state is highly dangerous to American democracy. * Louisiana gave us Huey Long. A great, if long read, is T. Harry Williams’ Huey P. Long. Huey lied as well and often as Trump, was at least as money hungry, but might not have been the narcissist. ‘Tis a highly recommended read. Though I have not commented much this year, I have been following your adventures with plenty of interest. The prose and photos are stunning, as always, and show me parts of this amazing country I have not yet seen in person. It has been a bit since your last post. What fun are you all up to of late?